The Bear Hunter is now available in hardcover from Amazon.com here. New Book on Kindle here. 11 May 2017 (Thursday), noon. Jim McCafferty, will be presenting a powerpoint program on his book, The Bear Hunter: The Life and Times of Robert Eager Bobo in the Canebrakes of the Old South at the Robinson Carpenter Memorial Library in Cleveland, Mississippi. 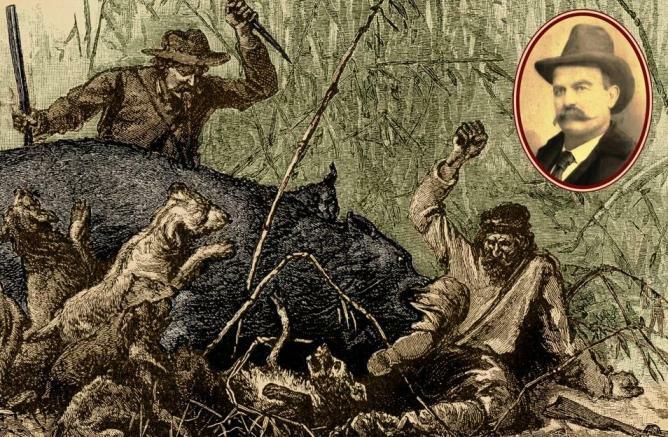 See an excerpt from The Bear Hunter in The Southern Reader: An Online Magazine about Life in the South features an excerpt fromThe Bear Hunter: The Life and Times of Robert Eager Bobo in the Canebrakes of the Old South. Jim McCafferty is the author of The Bear Hunter: The Life and Times of Robert Eager Bobo in the Canebrakes of the Old South and two children's book, Holt and the Teddy Bear and Holt and the Cowboys. The Kindle version of The Bear Hunter can be previewed and purchased here. Follow this link for ordering information on all three books: Buy the Books.